(Highlight to View) Prompt: Be crafty! Severus makes an object or has an object made for Hermione. What is it? Summary: Hermione finds it difficult to keep track of her own eccentric scientist now that he has taken to investigating time, space and relative dimensions. He commissions a magical timepiece to help ease her mind. 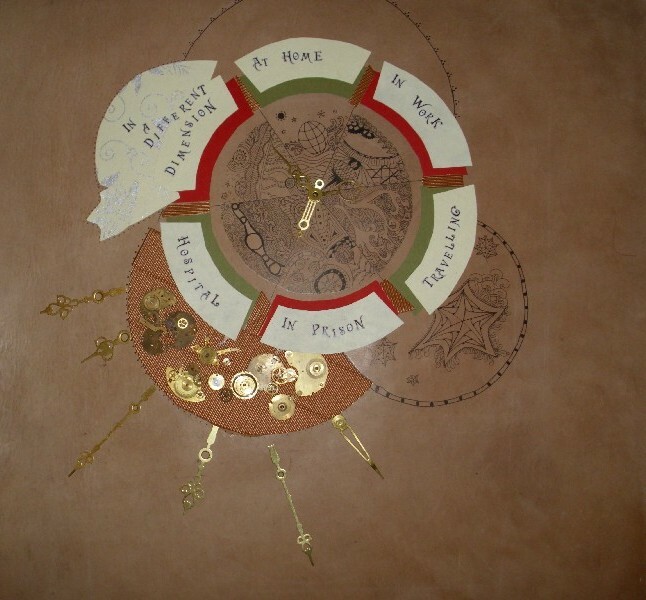 A steampunk inspired piece of crafting, based on the Weasley family clock.